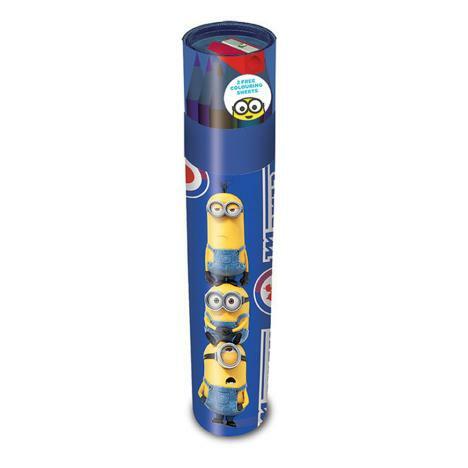 Balancing Minions Pencil Tube | Minion Shop. 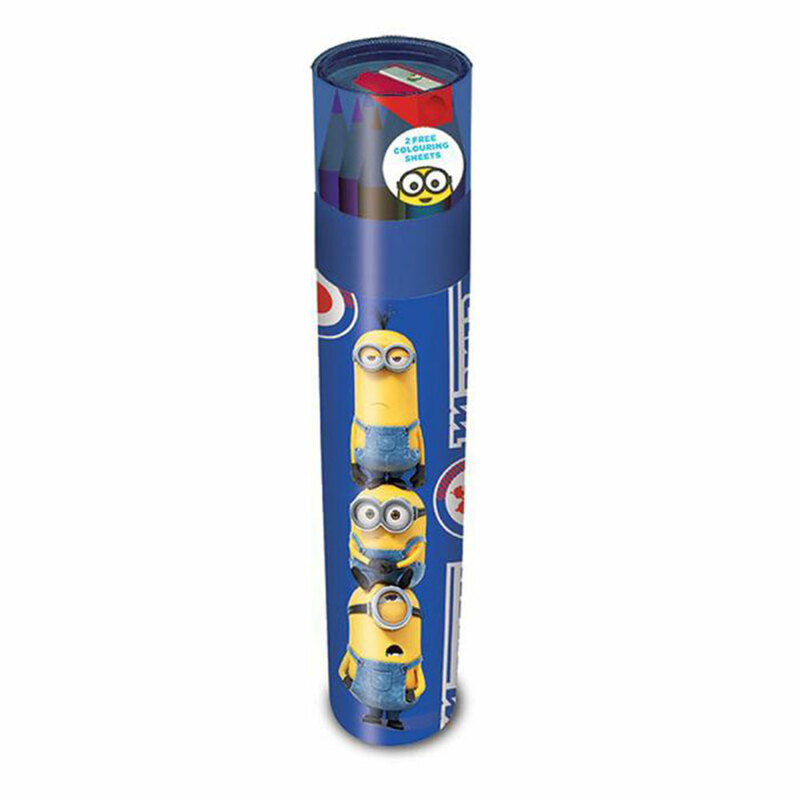 This cool Minions pencil tube contains 12 colouring pencils plus 2 line art posters and a sharpener built into the tube lid! Perfect for school or at home, this pencil tube would make a lovely back to school minions gift.